DISCLOSURE | This post was sponsored by Shutterfly through their partnership with POPSUGAR. While I was compensated by POPSUGAR to write a post about Shutterfly, all opinions are 100% my own. For the past year, I’ve had a special stash of items I’ve collected just waiting for me to create a gallery wall. Unfortunately, I just couldn’t find enough items that really felt special enough to be a part of the wall. I wanted everything I placed to have meaning, since the gallery wall would be front and center in our entryway and is a main wall in my office / craft room. 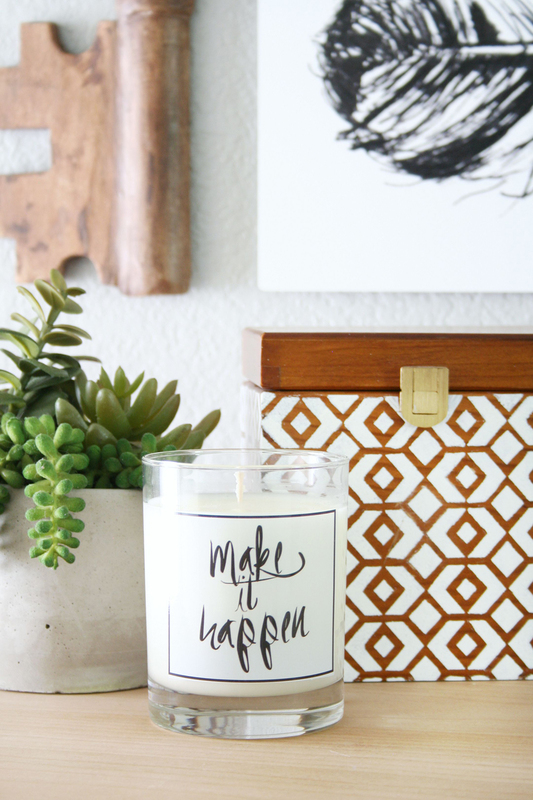 I’m so excited to show you how easy it was to Create Meaningful Decor with Shutterfly that fit perfectly into my space and was exactly what I was looking for. Part of my gallery wall includes our entry table, and whether I’m home alone or have friends and family over, one thing I always have is a candle burning on it. Having soft, sweet scents in the air makes me feel more energetic, and it makes everything feel more inviting. I’m a huge citrus fan, so when it comes to scents, I always stick to grapefruits and other sweet citrus scents when choosing a candle. 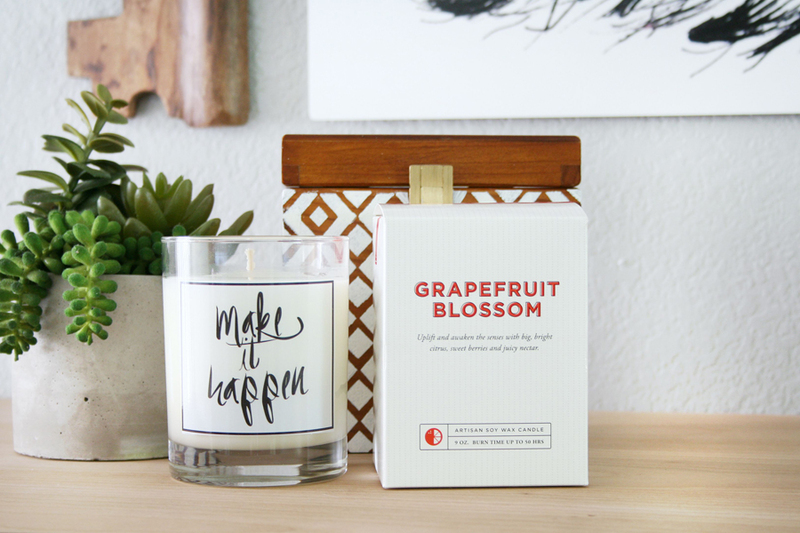 I was so excited to see this Grapefruit Blossom candle from Shutterfly. Not only is it a soy wax candle with a super long burn time, it’s the perfect light scent I wanted. It smells so dreamy. I also loved that I could create a custom design for my candle using the Upload Your Own Image option. I wanted to create something personal that as I walk past it daily, it would encourage me to get the things on my to-do list done since I’m a huge procrastinator. I picked a fun graphic I have had saved for a while and just uploaded the image to Shutterfly. It was super easy to do; I’m kind of obsessed and want to make candles for all my friends as gifts now! Now for the gallery wall, I wanted to create some artwork that would be close to my heart. So naturally I wanted feathers to be a huge focal point. 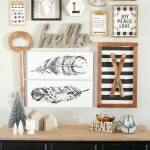 Not only do the feathers represent this blog, but they are a sweet reminder of each of my boys. I created one piece of art for each boy, each design different since each child has a different personality. I went back and forth with creating on canvas or metal, and these 10 x 24″ Gallery Panoramic Metal Wall Art were the top pick. I loved the modern touch they bring to the space with the clean, sleek lines and metal. Creating them was so easy to do. Again, I uploaded my own images to Shutterfly. After making some slight adjustments to make sure the artwork was centered and the right scale, I added them to my cart. When they arrived, I couldn’t have been more excited. The artwork printed perfectly. Shutterfly really does make it easy to create custom decor and art, whether you’re using family photos to create gifts or uploading your own custom art images. The best part about these Metal Prints is that they come with their own hanging system on the back. 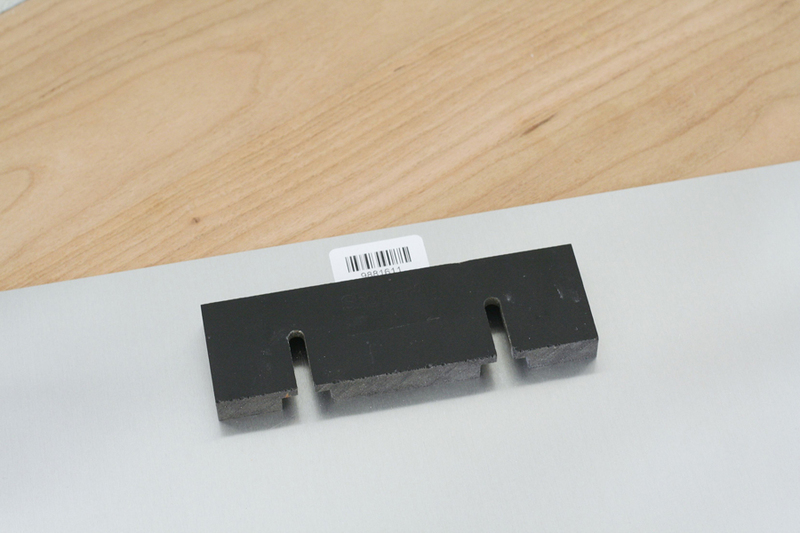 Each piece comes with a handy template to use for hanging to be sure they are even, which makes them super easy to install. I also printed some simple 5 x 7″ prints with Shutterfly. 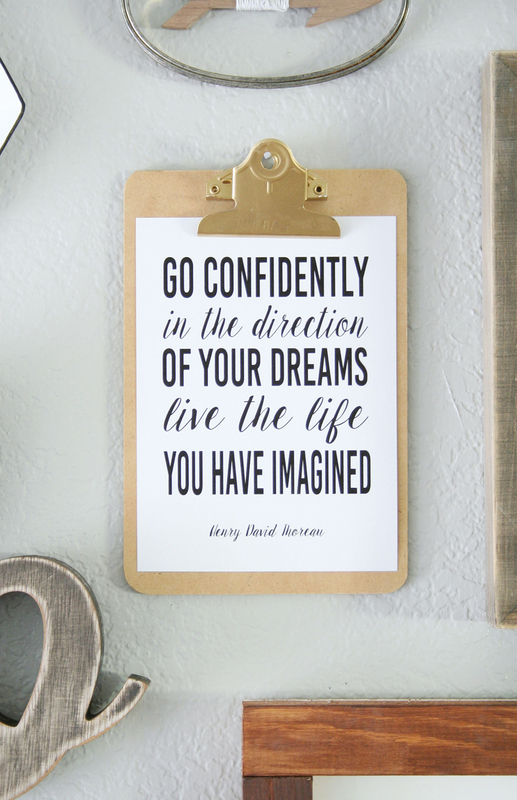 I chose to print an inspirational quote that I designed, it’s another reminder for me as I walk past this gorgeous wall every day to follow my dreams and to be fearless doing it. 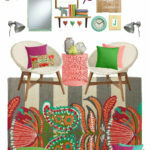 The second print I had printed is the fun Aztec design on the gallery wall. Printing quick art like this helped to complete this space and gave it the personal touches I was looking for. 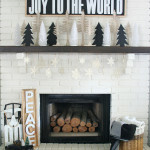 I love how easy it was to Create Meaningful Decor with Shutterfly, and I absolutely adore how this entryway turned out. It makes me so happy when I walk past it and see everything put together. 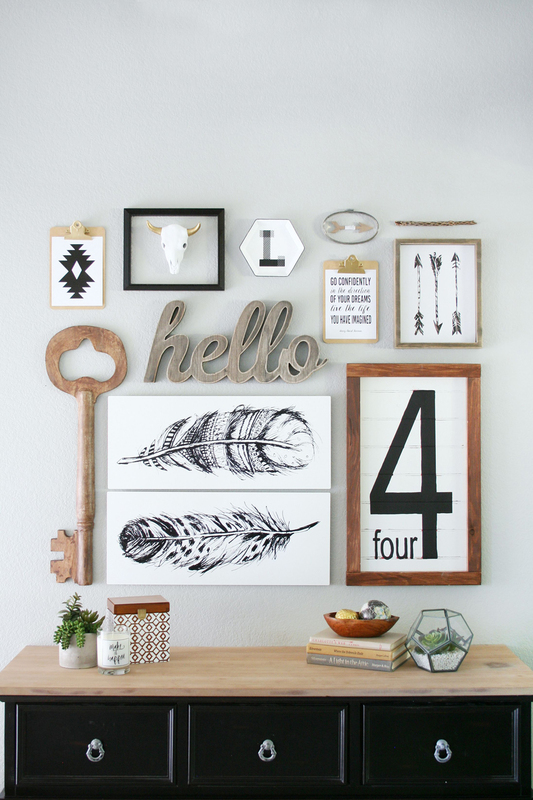 There are so many gorgeous aspects to this gallery way and entryway setup! 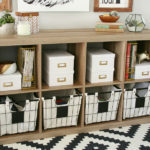 I love love love all these ideas and will definitely be checking out Shutterfly for creating some personalized decor coming up. Wow, thank you so much Kristin! I love hearing that! 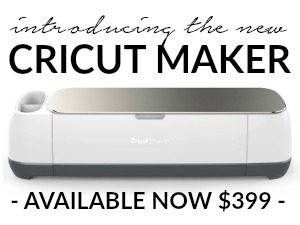 Yes, be sure to check Shutterfly out – they have so much to offer for home decor! Have a super week! 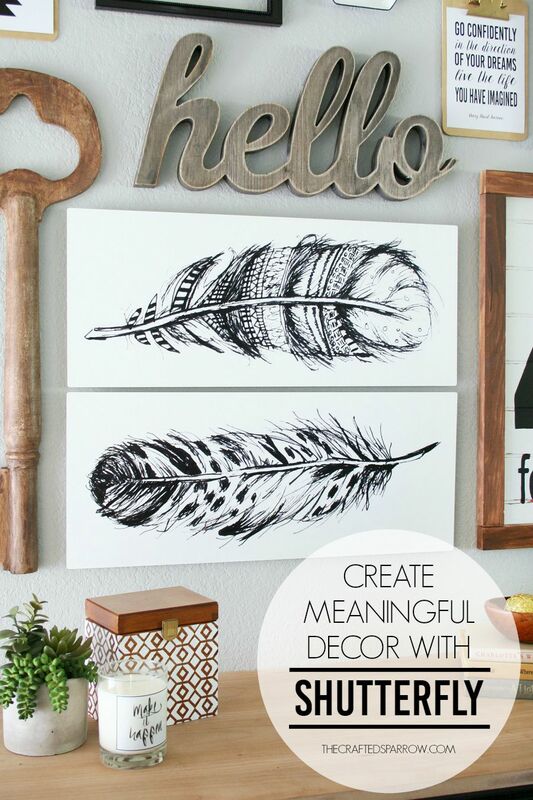 Your wall looks amazing and I love the feather prints! Can’t wait to design and print some things of my own now! I love the arrow print! Did you design that as well? 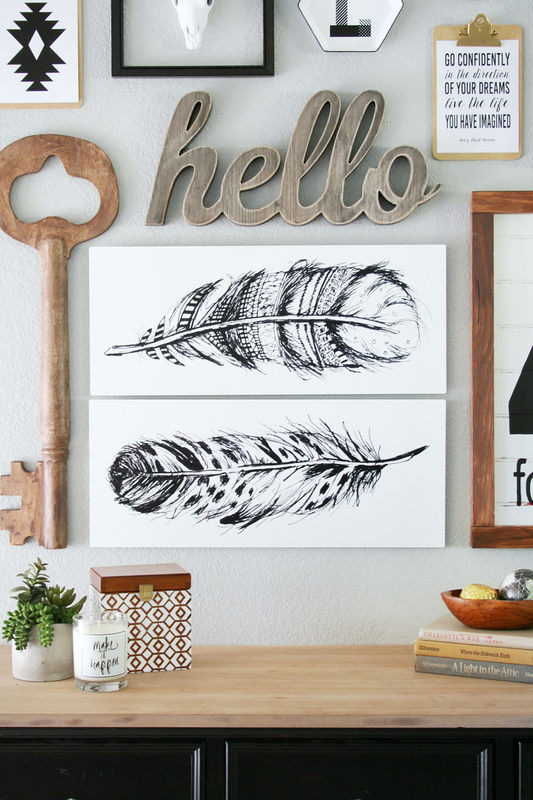 The feather prints are awesome! The whole gallery wall is a show-stopper! Thank you so much Antonella! Have a great week. 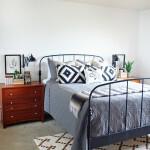 I first saw your gallery wall on Instagram, and I’m glad you posted some details on your blog. Your feathers are beautiful, and I like that you made them differently to represent each of your boys. You have amazing talent. Your drawings are so pretty, and you have a great combination on the wall. We are redoing our entry way right now, and I’d love a gallery wall. I’m just not sure I can put something together this beautiful. Do you remember where you bought (or maybe created) your ‘hello’ sign? 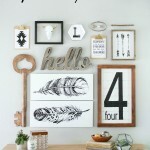 Love love love everything about your gallery wall! Ièm waiting for some shutterfly prints to come in the mail, I hope they are as lovely as yours! I have a lovely panoramic of London Tower that I wanted done in black and white. I just love the feather prints, where did you get those? Thank you! They were printed at Shutterfly.com, the original artwork is a purchased image set from creativemarket.com…search feathers. 🙂 Have a great day. Could you share the approximate dimensions of the items in your gallery wall? I’m in <3 with all of it! Hi Beth, Thank you so much. What did you want the dimensions of? The whole space or individual items? Thanks for the reply. I was hoping for the dimensions of the individual pieces. Hello, I love your wall! You did such an amazing job! I am wondering where you found your FOUR? I am in love with it! Lovely!!! I love everything about it! Where did you get the key? Thank you Candy! The wood key was from Target last year. 🙂 Happy Holidays. 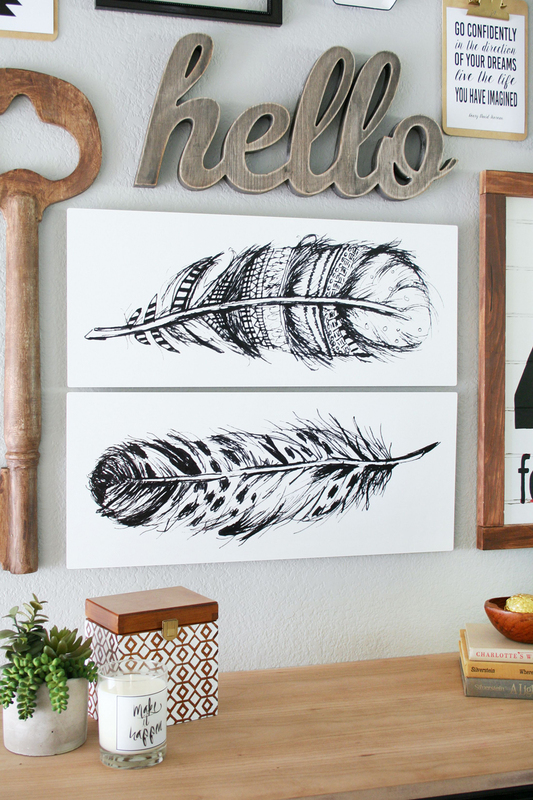 These are awesome, do you sell the feather pictures? I’m in love with your gallery wall! Where did you get the gold clipboards & the “L” plate?! 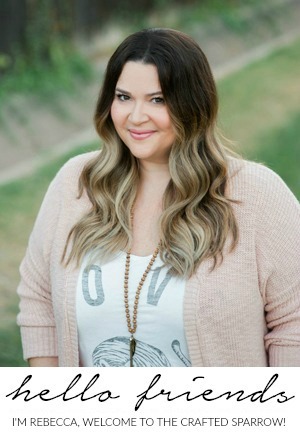 Hi Courtney! Thank you so much. The clipboards are just plain old normal boards from an office supply store, the mini size and I spray painted the clips gold. The small “L” plate was actually a dollar store metal tray with a chicken on the front that said “fresh eggs” I just gave it a quick coat of white chalk paint and added a vinyl “L” that I cut with my Cricut Explore to the front. 🙂 Have a super weekend. 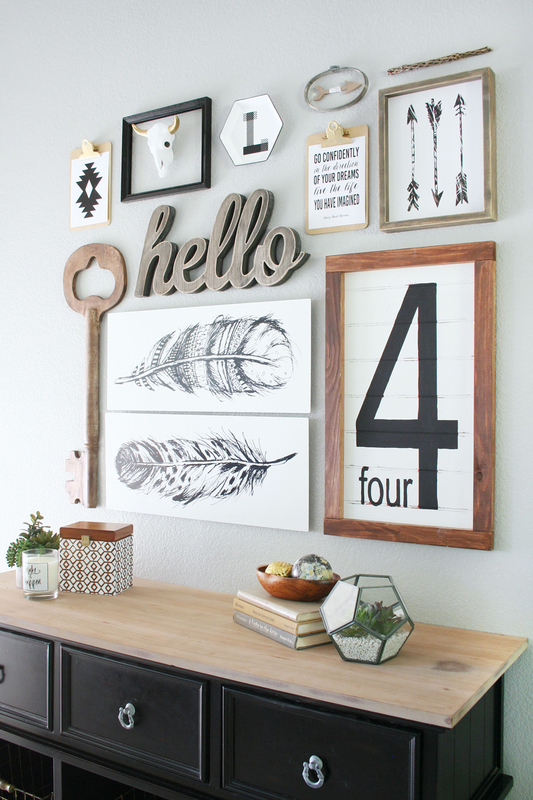 Where did you get the number 4 sign on your gallery wall? I love your gallery wall. What is the size of the feather prints? Thank you! I saw the dimensions after I posted the question, sorry. Thanks so much Kamryn! Isn’t it awesome?! It’s from Target last year. I wish they’d bring it back again! Hi there, do you remember what paint color you used on this wall? It’s really pretty! Thanks so much. Hi Katie, thanks so much for asking. It’s Sherwin Williams Light French Gray. It’s a great gray, looks darker in the evening light of course but light in the daylight. Be sure you use a flat version of the paint if you go with it, any more shine to the sheen and it can change the color. 🙂 Have a great week.